cool down areas, vanishing edges, acrylic / glass walls and panels, fiber optic lighting, water features, hydrotherapy exercise areas, the options are endless. The luxury bath line consists of indoor and outdoor Japanese baths, soaking baths, whirlpools, micro and air bubble systems, shower pans and sinks. Diamond Spas believes in the freedom of expression. Every product is designed for the specific wants and needs of each client. With over 37 years of fabrication experience, Diamond Spas has the expertise to accommodate these requests. All products are constructed of the highest quality stainless steel or copper. Metal delivers superb durability and design flexibility guaranteeing no boundaries when it comes to dimensional requirements enabling the Diamond Spas engineering and fabrication teams the opportunity to create the most design savvy products the market has to offer. Diamond Spas is not only building a sustainable, sophisticated product line, they build relationships. Diamond Spas has had the pleasure of working with renowned architects, landscape architects, naval architects, custom home builders, designers and homeowners. These talented individuals have seen the unlimited possibilities available when working with Diamond Spas. Since 1996, Diamond Spas has been involved in many elite projects spanning the globe. 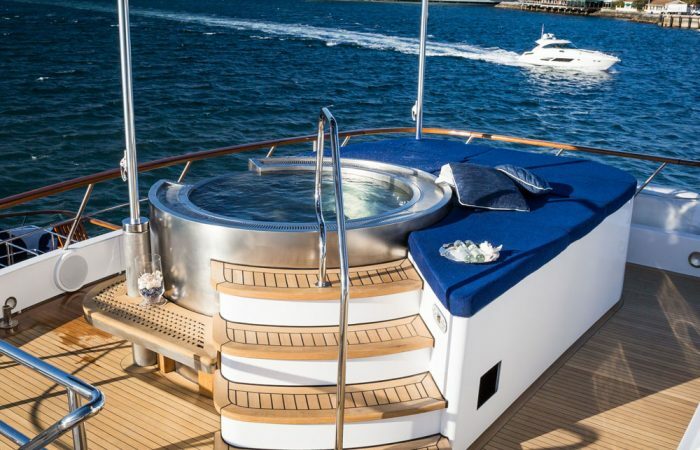 They have fabricated products for superyachts, commercial cruise ships, politicians, movie stars, famous athletes, elegant 5 star hotels, all the way to the UHNW home owner looking for a beautiful aquatic indoor or outdoor product. The Diamond Spas product line is lightweight, durable and structural giving Diamond Spas an advantage over traditional pool and spa materials. 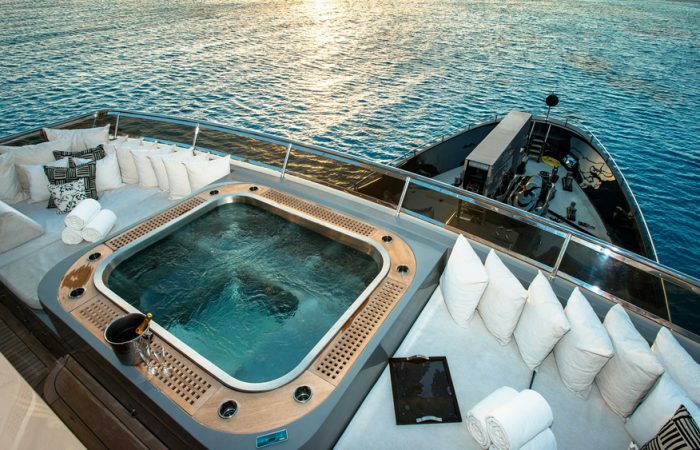 It is the ideal choice for the superyacht market and rooftop pool and spa installations. Special considerations is given, specific to superyachts. Engineering custom surge tanks, lowering water levels, fast dumping and controlling slosh water with recirculating gutters just to name a few. Diamond Spas can design a single piece assembly to provide hoisting rigidity and easy maneuvering. This custom designed frame will also allow for leveling and fastening to your structure. The beauty of stainless steel or copper is permanent, so budgeting for refinishing throughout the long life of the pool or spa will no longer have to be a consideration. Diamond Spas can ship product in one piece or if the installation requires, an onsite welding team can be arranged.